This week, I wrestled a dragon. Yeah, you read that right. I wrestled a big, green, 900 pound, fire-breathing dragon and I survived to tell you about it. Are you impressed? Now, I must be honest and confess to you that this dragon is not as scary as you might think. Actually, he is quite friendly. Oh, and he doesn’t really breathe fire. He actually has it blown up his backside. His name is Oggy. 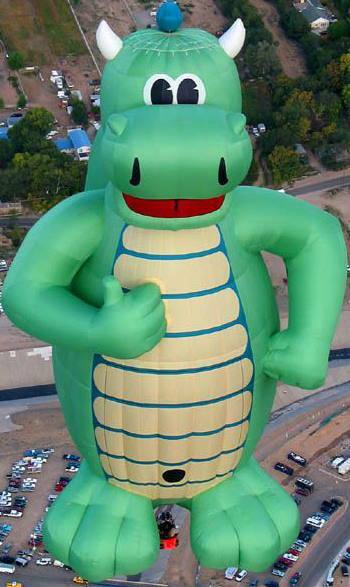 Oggy the Friendly Dragon is a hot air balloon that is owned and operated by Indy Hot Air. He is an 17-year-old dragon that has been entertaining crowds at balloon shows for 15 years. His massive size (143 feet tall, 900 pounds in fabric) and his friendly smile make him a favorite for people of all ages. 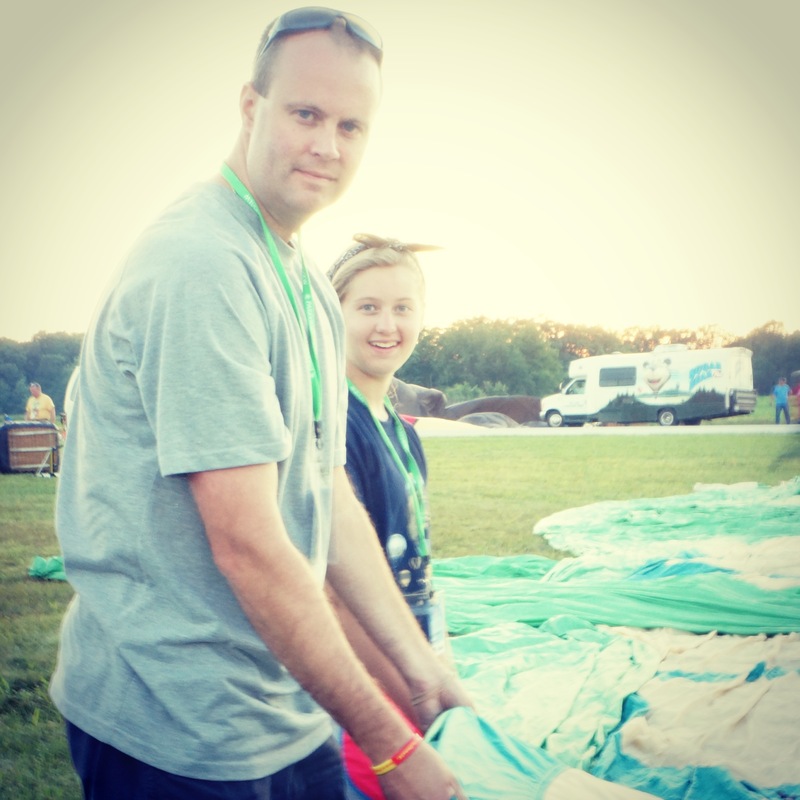 We had the opportunity to see Oggy in action during this week’s volunteer activity at Angola Balloons Aloft, a balloon festival that offers amazing hot air balloon entertainment to the people of Northern Indiana. This year was the 4th annual event and our first time volunteering. Upon arrival, we were assigned to the Oggy balloon crew. Unfortunately, the extremely windy conditions prohibited Oggy (and the other special shape balloons) from taking flight on that evening. They were just too big. We were a disappointed that we wouldn’t see Oggy is all of his glory, but we were still excited to help set him up for the late night illumination show. We helped unload him from the truck and spread him out for inflation. Wow, was he huge. After all of the preparations were complete, he was attached to the basket and filled with air. That is when the work began. The windy conditions made it very difficult to keep Oggy upright. Erica, the girls, and other volunteers worked to keep the basket on the ground. I took my place at the crown. I held a rope that attached to the top of Oggy’s head. My goal was to play tug-a-war with him. We he started to go left, I attempted to move him right. If he fell forward, I pulled back. It truly was a wrestling match. A match that I lost. At times, I was pulled and dragged across the grounds of the Steuben County Airport, struggling to gain footing in the grass. I discovered muscles in my arms and in my back that I had long forgotten. I could have used the 45 pounds that have lost over the last few months as leverage. I fought a battle that I didn’t expect to win. Actually, I knew that I couldn’t win. Jack, Oggy’s pilot, told me upfront that I would lose. He wasn’t lying. After the illumination ceremony, we helped deflate Oggy, rolled him up, and load him into the truck. It was a workout, but we had a blast! Look at these beautiful girls! Angola Balloons Aloft is a great family event. We highly recommend that you attend it next year. You will have a great time. 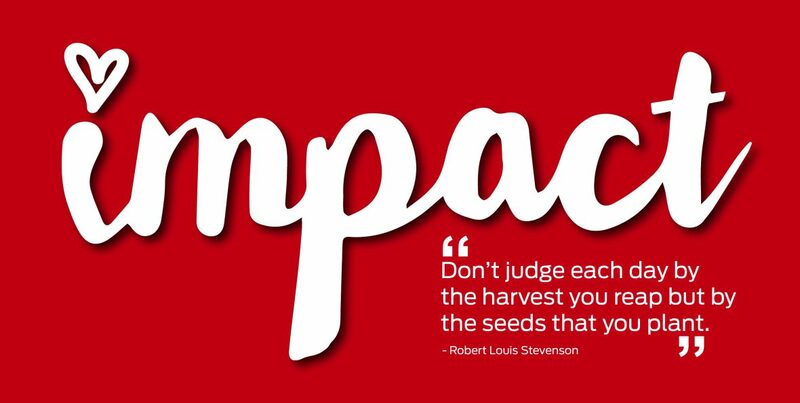 We would also like to encourage you to consider volunteering. 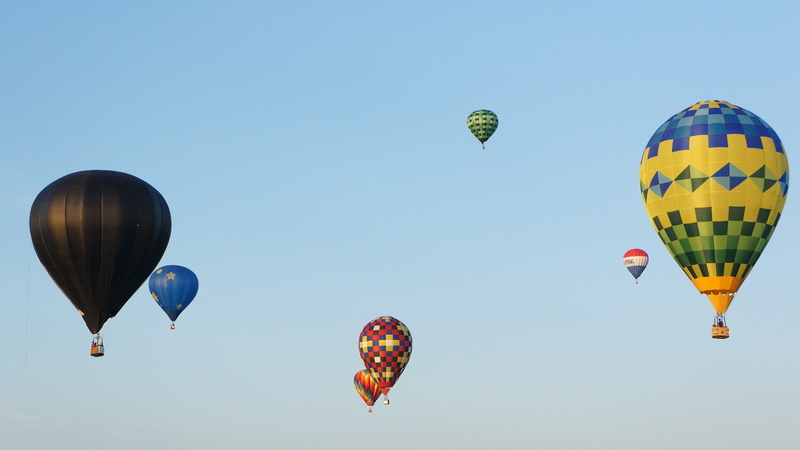 You get to experience hot air balloons up close and in person. 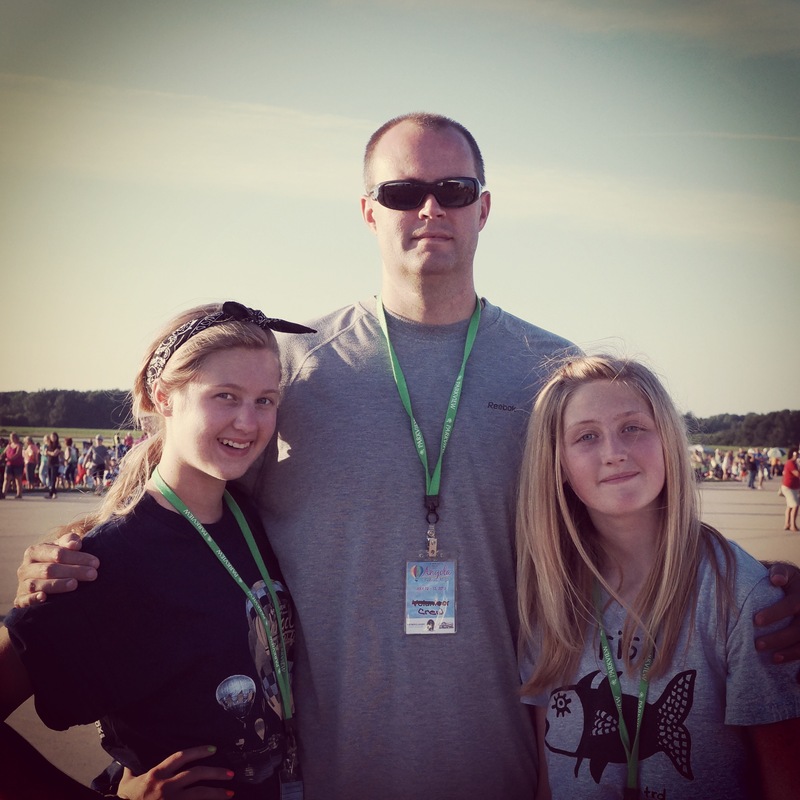 You will meet the great people behind the balloons like Jack Semler and his family. They welcomed us to their crew and they made our experience very enjoyable. Check out Indy Hot Air and learn where you can see Oggy in the future. You will not be disappointed. If you decide to volunteer and join Oggy’s crew, you will get your chance to wrestle a 900 pound dragon. I just hope you live to tell about it!